Total Athletic Therapy: Study Spotlight: Can a Beer Re-Hydrate You? Study Spotlight: Can a Beer Re-Hydrate You? I'm always looking for scientific reasoning when it comes to being able to justifying my vices and I recently came across a perfect opportunity to do so. There are a lot of theories and claims (and hopes really) when it comes to the concept of consuming alcohol as a rehydration beverage. Some people, and publications within the literature for that matter, suggest that consuming alcohol post exercise actually further contributes to states of dehydration ultimately delaying recovery. Others claim that because of the high fluid content of beer and in some cases a high carbohydrate/electrolyte content in some beers make them an ideal rehydration beverage. Recently, researchers designed an experiment to examine this concept. Researchers designed a study to examine the effects of MODERATE beer consumption (with varying alcohol content) after physical activity on rehydration and fluid balance in endurance trained males. The researchers had 11 healthy males complete a cross-over design study consisting of 5 different experiment testing conditions. During each testing session, the subjects completed a 45 min exercise trial at 60% of their maximal power until a mild state of dehydration occurred (1% body mass loss). Then in a randomized order, the subjects consumed 1 of 5 different experimental beverages in an amount equal to 100% of their sweat loss. The different beverages were: 1) Non-alcohol beer; 2) low alcohol beer (2.0%); 3)Full-strength beer (5.0%); 4)An isotopic sports drink; and 5)Water. Following ingestion of the drink, fluid balance was urine output were assess for a period of 5 hours. The results may actually surprise you. After 1 hour, urine production was significantly higher for 5% beer compared to the isotonic sports drink (as you might have expected). However, at the end of the 5-hour observation period, net fluid balance was negative for all conditions. Specifically, the 5% beer yielded the poorest fluid balance value (21% fluid retention) whereas the isotonic sports drink yielded the best (42%), although still no where close to 100%. To put this into perspective, the non-alcoholic beer, low-alcoholic beer and water yielded fluid retention values of 36, 36 and 34%, respectively. There are a few things we can take away from this study. The first of them being that there appears to be no difference in net fluid balance between any of the experimental drinks over a 5 hour period. Essentially you will get the same benefit (or lack thereof) from consuming beer compared to water. This is likely because the carbohydrate and sodium content in beer as actually fairly similar to that of a sports drink. However, as I mentioned above with the "lack thereof" comment, it appears as though a fluid replacement strategy in which 100% of body mass loss is re-consumed in fluid amounts, does not appear to be an effective rehydration strategy. Also, keep in mind that the amount of beer ingested in the current study is classified as moderate with an average fluid volume intake of ~ 736 mL (24 oz.) of fluid, equating to ~12 g of alcohol for 2% beer and 30 g of alcohol for the 5% beer. Therefore, we can't extrapolate these findings to a greater alcohol intake and hope to find the same outcome as the authors mentioned that previous findings have reported a greater urine output in a more dehydrated state when higher amounts of alcohol are ingested. When it's all said in done, a moderate amount of alcohol intake (specifically beer) appears to be as effective as water and sports drinks in terms of a rehydration potential. 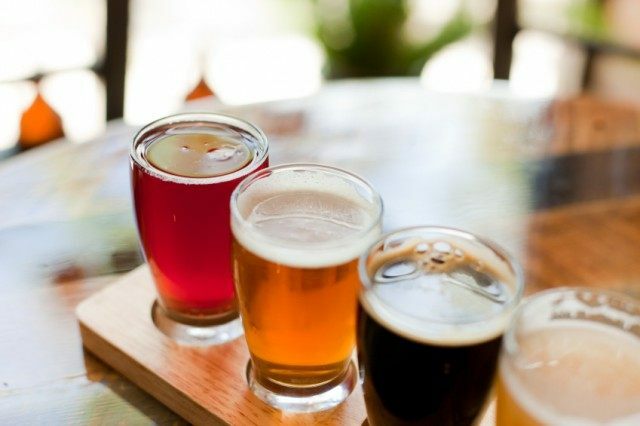 Higher alcohol content beers (5%+) may increase urine output and therefore consuming excessive amounts may promote a greater state of dehydration over time.